Exports of gold to Hong Kong from China more than tripled to 310,861 kilograms in 2012 from about 95,529 kilograms a year earlier, according to Bloomberg calculations. Shipments were 29,718 kilograms in December, up from 28,978 kilograms in November. When Vladimir Putin says the U.S. is endangering the global economy by abusing its dollar monopoly, he’s not just talking. He’s betting on it.... His central bank has added 570 metric tons of the metal in the past decade, a quarter more than runner-up China, according to IMF data compiled by Bloomberg. The added gold is also almost triple the weight of the Statue of Liberty. 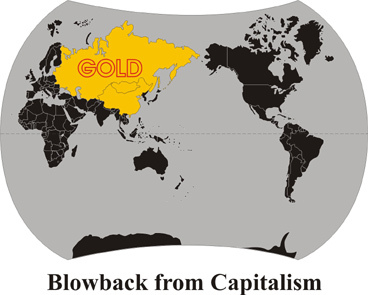 China, the world’s number one producer of gold, and Russia, the world’s fourth largest producer, also no longer allow domestically-mined gold to be sold outside their countries. 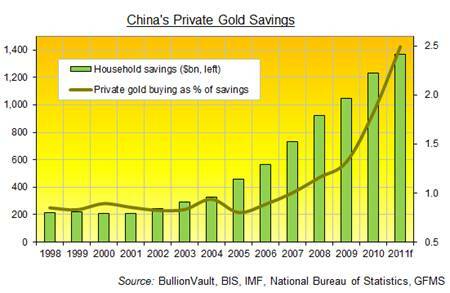 This means Russia and China are accumulating gold both by buying and mining it in record amounts. Money and power are two sides of the same coin and both are at the center of today’s gold market. With growing demand for gold from both China and Russia, it would be assumed that prices should be rising as supplies of gold are becoming increasingly tight. Sandeep Jaitly’s observations about gold and silver have been remarkably consistent over the past year. Demand for both gold and silver have been constant while supplies of both metals have been pressured leading to indications that an upswing movement in prices can be expected and the accumulation of both metals is encouraged. In the past year, however, gold and silver have not performed in accordance with such expectations. 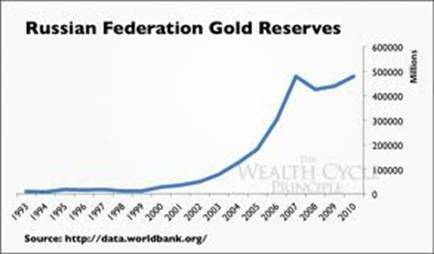 I believe this temporary anomaly is attributable to two factors: (1) the increasing determination of Western central and bullion banks to prevent another almost-vertical price movement in gold as happened in July/August of 2011 when gold rose 27% in only 60 days; and (2) the current Chinese strategy to purchase gold at the lowest price points possible. On February 11th when gold collapsed to a low of $1642, Takoa de Silva of Bull Market Thinking asked a trader who runs a market-making desk in London’s gold market to explain the drop in gold. The statement, the opportunity to get something cheap describes China’s buying strategy perfectly. Both China and Russia want to buy the West’s gold at the lowest possible price and they will do so accordingly. All investors should do the same. In my current youtube video, Bankers, England and Israel, I explain the role of England and bankers in the creation of the state of Israel. As stated previously, money and power are two sides of the same coin. The creation of the state of Israel is no exception. Sandeep Jaitly’s observations about the gold and silver markets are correct. The accumulation of both metals is encouraged. Regarding the continuing struggle between gold and paper money, precious metal investors have already put their money where their beliefs are—and they should keep it there.